Hello friends! 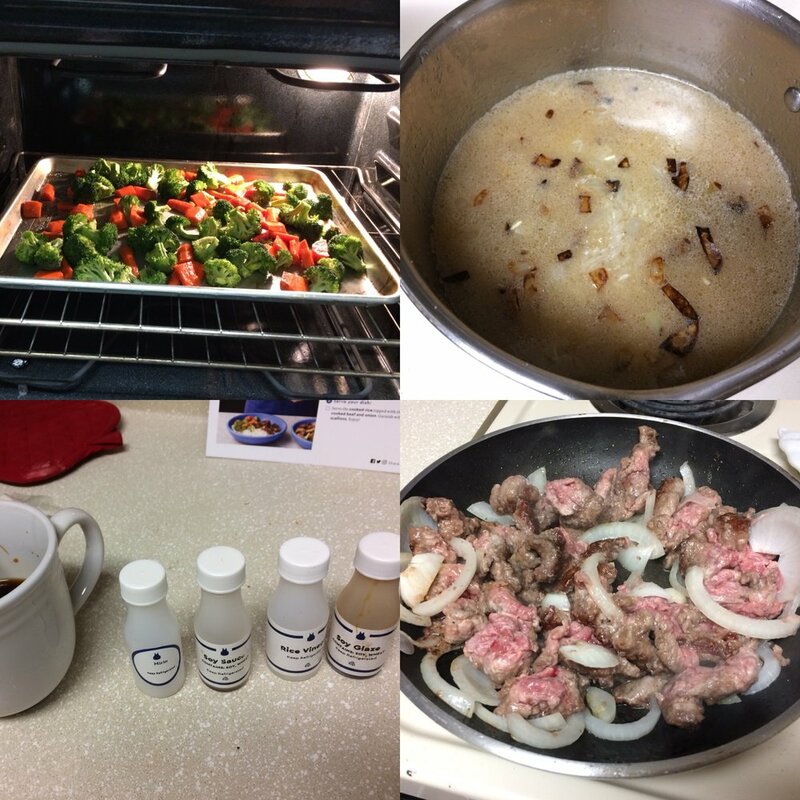 Today's post is about the first Blue Apron meal I made, Tokyo Beef & Rice Bowls! This recipe claims that it takes 35-45 minutes to make. That is accurate - as long as you don't take into account any of the pre-cooking prep. My overall time for this recipe was about an hour and a half, but to be fair - I'm a very slow chopper. Besides what felt like ~endless~ chopping, this recipe was super fun and easy to make! The broccoli and carrots were roasted in the oven, the rice was cooked with the onions and turned out well, and the meat and onions cooked together really well! I also thought the bottles all the sauce add-ins came in were very cute (and recyclable!). I *did* forget about the vegetables in the oven for about 15 minutes past where they were supposed to come out. Somehow, I did still enjoy the blackened carrots, and the broccoli wasn't half bad, either!